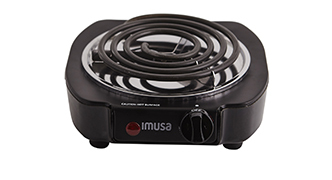 Whether you use it at home, in the dorm, or office, the IMUSA single burner is the perfect complimentary cooking tool for heating your culinary creations quickly and effectively on the go. 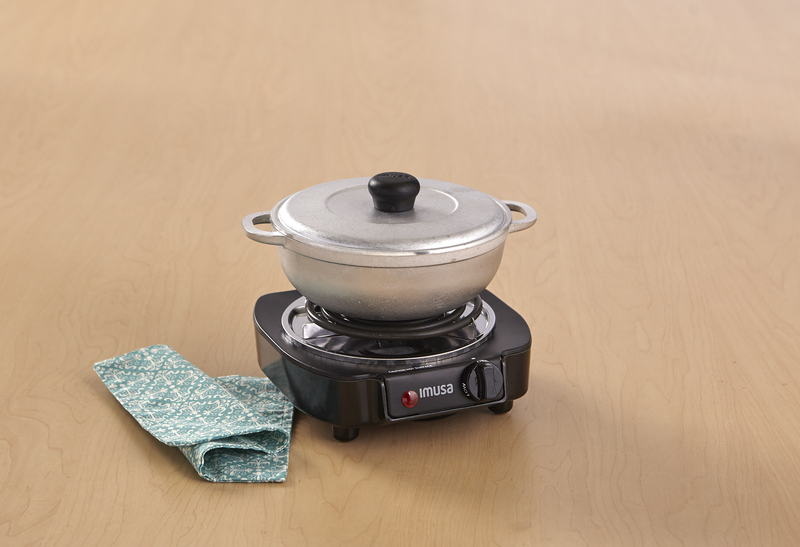 Use it to cook when away from home or even for making coffee at work. 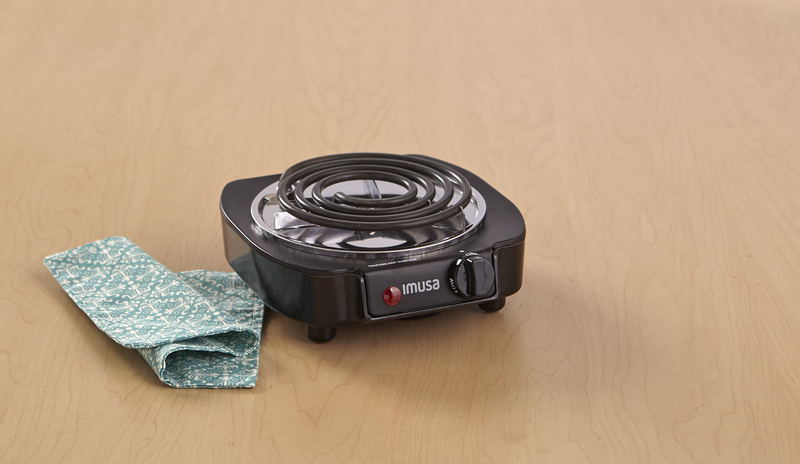 The 1,100 Watt heating coil and the stainless steel drip pan allow you to concentrate on your delicious concoction and forget about the messy cleanups. 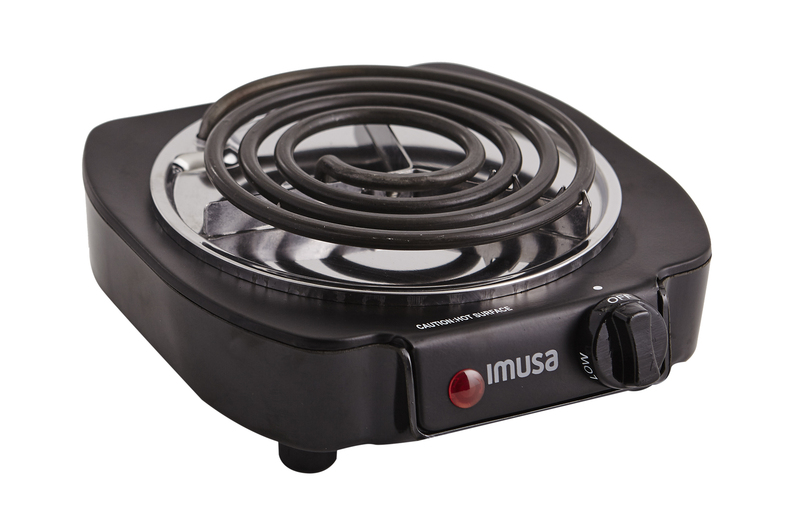 Featuring an easy to use thermostatic control and simple to read power indicator light. 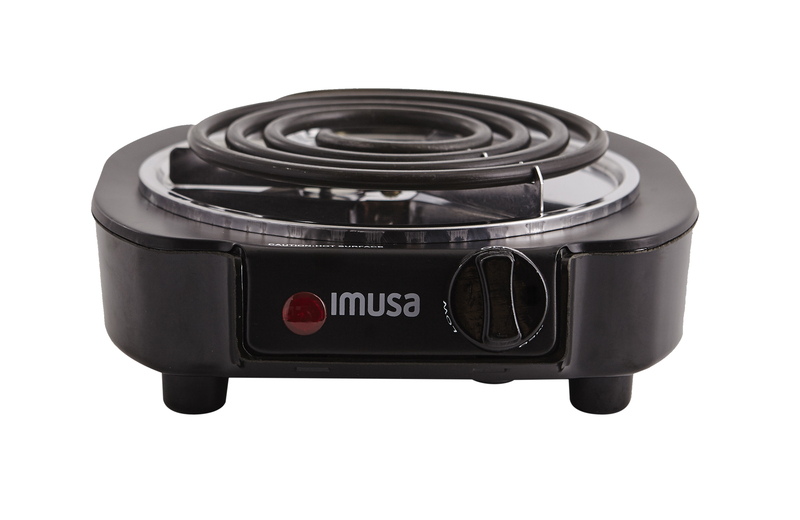 The IMUSA single burner is like a compact, convenient, portable kitchen. 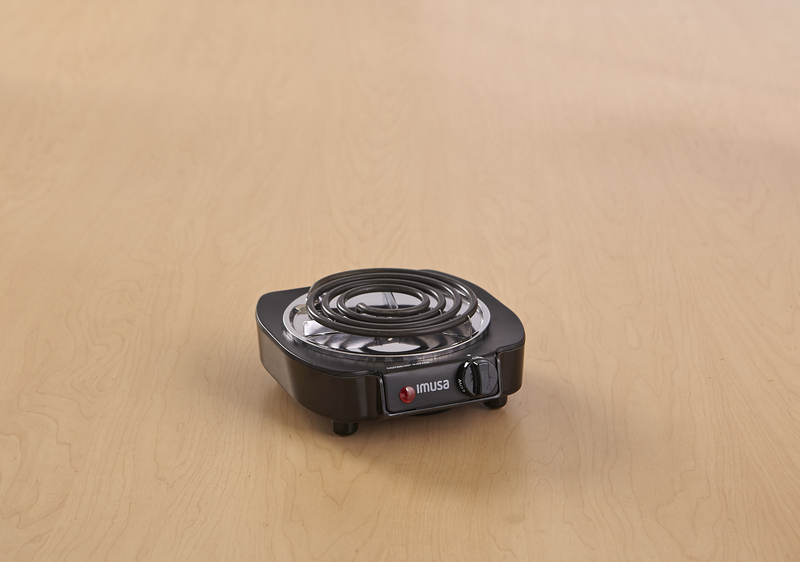 Dimensions: 3.54 in. L x 9.45 in. 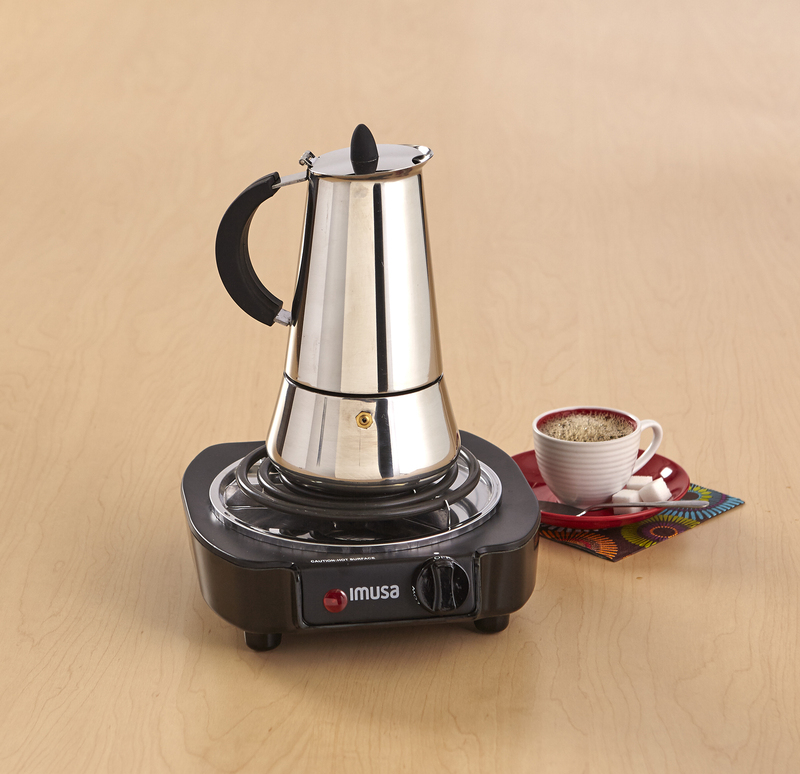 W x 9.06 in. H, 2.57 lbs.